Start by applying ModPodge glue to one side of the wooden gift tag. Cover with glitter, shake off any excess, and let dry. Meanwhile, begin wrapping your gift with one of the wrapping papers you choose, securing with double-sided tape. Next, cut a skinny strip of paper from your second roll of wrapping paper, just enough to wrap around the middle once. Secure that with the tape as well. 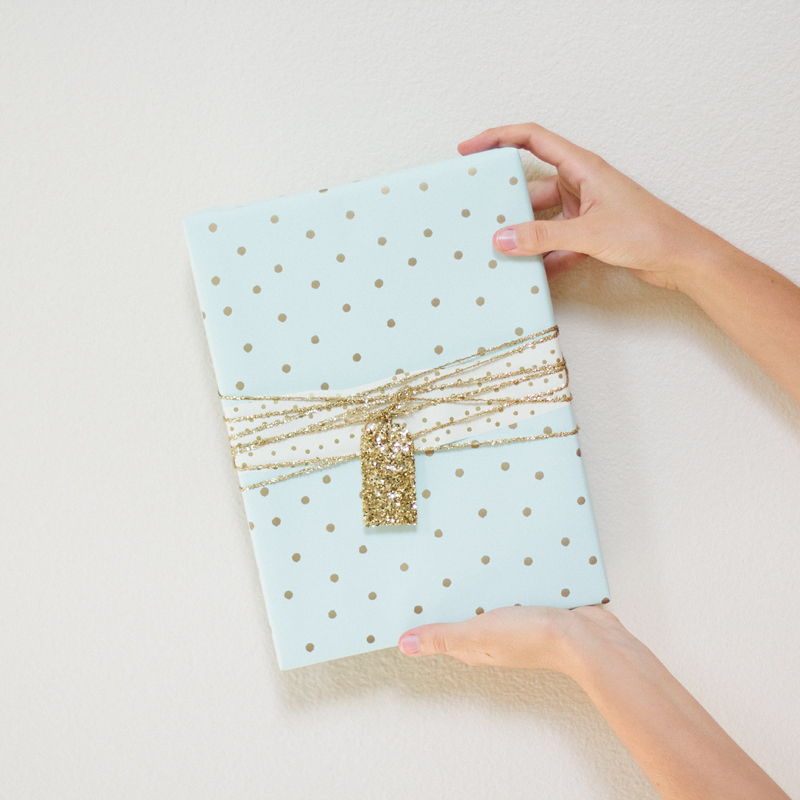 Next, wrap your box several times with the glitter string and tie with a knot on the backside. Once your glitter tag is dry, tie that onto the gift with more glitter string. Done!